This site exists to help you obtain an apostille for Bahamas as quickly and as easily as possible. We can legalise a UK issued document for use in Bahamas. It is necessary for a document to be legalised by apostille for personal, work or for legal requirements. The Apostille Certificate is normally requested by Bahamas and organisations so that the certificate can be used for official purposes. It is also referred to as legalisation. We provide an apostille service to assist you in acquiring official UK Apostille Certificates for UK documents. The Apostille Certificate is normally requested by the Bahamas authorities and organisations so that the document can be used for official purposes outside of the UK. It is also referred to as legalisation. This means that the documents have to be legalised correctly before you travel (Bahamas) and often within a specific time period. The Apostille includes a raised seal. The Apostille is also serial numbered which can be used to validate the Apostille's authenticity. We will arrange for your document to be legalised for use in Bahamas and it will then be returned to you. Bahamas Legalisation is the process by which attaches an apostille stamp to a UK public document. Bahamas Legalisation is the official confirmation that a signature, seal or stamp on a public document is genuine. The legalisation does not certify the authenticity of a document or give Foreign and Commonwealth Office approval of its content. 3. We will attach the apostille and return the Bahamas to you. Please find enclosed my document for apostille for use in Bahamas and my cheque/postal order payment. We provide replacement birth certificates, marriage certificates and death certificates from England and Wales, Scotland, Northern Ireland and the Republic of Ireland. 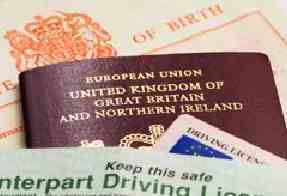 Whether you need a replacement birth certificate for passport applications, social security or immigration, or are conducting family history research or looking to work out of the UK and need a international birth certificate. Our search for birth, marriage or death records are not restricted to the years provided, so why not take advantage of this, we are here to help. All certificates are Certified copies of Entry of births or extracts of births.